Few things are more breathtaking than the sight of thousands of tulips in bloom as far as the eye can see. Ada + Henry were amazed at the lush rolling rainbow of colors stretching for miles. 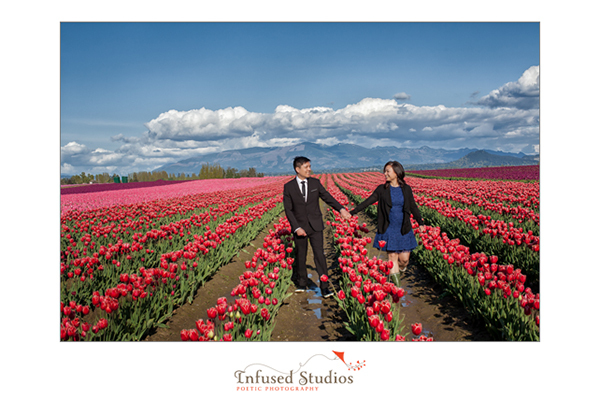 Ada + Henry, we can’t wait to see what you have planned for your upcoming wedding day. Very excited!